Plans for the Queen Mother to fly to Iran in Concorde were blocked by Harold Wilson because he was worried about the plane's safety, it has been revealed. The Labour prime minister intervened days before the planned trip in April 1975 when told there was a problem with the engine. Aviation watchdogs said the plane could be flown by an experienced test pilot. But Wilson said the government's position would be "indefensible" if the engine fault became known. The episode is revealed in government records from 1975 which have now been released for the public to see at The National Archives in Kew. The Concorde involved did not have its certificate of airworthiness at the time but had been used to carry members of the Royal Family. The Foreign Office was keen for the Queen Mother to help foster Britain's friendship with the Shah of Iran with a visit in April 1975, stressing the importance of trade and oil supply. When the Queen Mother accepted the Shah's invitation, the Trade Department said it would like her to fly in Concorde for the first time. It hoped Iranair would have bought two Concordes by the time of the visit but said it would still help for a distinguished Royal to fly to Tehran in the plane. 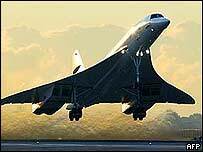 Wilson initially did not object but by February 1975 Peter Thompson, private secretary to Trade Secretary Peter Shore, was telling Downing Street it was no longer possible to use Concorde as the trip did not coincide with performance trials. The visit then seems to have been put back on the agenda before being cancelled again when it was thought performance tests were more important. This fuelled anger from the British Embassy in Tehran, who fumed in a cipher in March: "This is getting embarrassing." Complaining about the cancellation plan, the message said: "If we change our minds again the shah will wonder what we are up to." The Civil Aviation Authority (CAA) weighed in, saying the flight would be safe provided Concorde was flown by an experienced test pilot and crew. In April 1975 - the month of the trip - Shore wrote a memo to the prime minister saying he would normally not hesitate to agree to the flight. "However, about three weeks ago the operation of one of Concorde's engines was found to be unsatisfactory. "If the engine is run in the wrong mode there is some risk of fracture of the compressor blades, which could have serious consequences if it occurred. "However, it is possible for an experienced test pilot to monitor the engine so as to avoid its operation in this dangerous mode." Shore said the flight should go ahead unless Wilson dissented. The prime minister did not think the CAA's safety assurances were enough. "I do not feel that in the case of an aircraft carrying the Queen Mother we should have to rely on a test pilot for this purpose and that we should be in an indefensible position if it became known that the Queen Mother had been allowed to fly in the aircraft at a time when there was a problem over its engine. "I do not therefore think that Concorde should be used for this flight."